Discover a life of sophistication at IMT Miramar. Centrally located between downtown Miami and downtown Fort Lauderdale, our luxury apartments and townhomes for rent in Miramar, Florida, offer you the best of both worlds. Enjoy easy access to world-class cities and top employers like Strayer University, Memorial Hospital, and Royal Caribbean Cruises. When you come home, treat yourself to the incredible landmarks in the neighborhood. Shop your favorite brands at Miramar Shopping Center and Pembroke Lakes Mall. On the weekends, savor brunch and a mimosa at Another Broken Egg Cafe. When you and your dog want to get out, check out the beautiful dog park at Amelia Earhart Park. You will never run out of things to do and places to visit when you make your home in Miramar. Whether you want to enjoy access to fresh delicious food, great local employers, or short weekend trips to Miami, IMT Miramar can help you get there.  Better living is yours at IMT Miramar. Call our leasing team today to schedule your tour of our Miramar, Florida, townhomes and apartments for rent.